PNG Opposition Leader Don Polye has taken yet another swipe at the Prime Minister Peter O'Neill for covering up his bad economic management in the country. 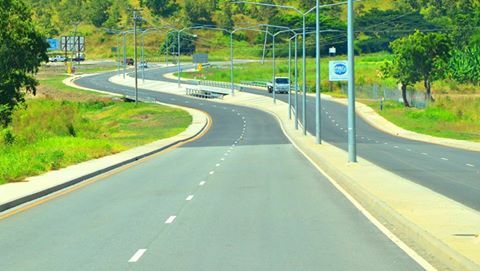 Responding to O'Neill's statement at the opening of Six-mile to Bautama road today outside Port Moresby, Mr Polye said by all finance and economic management standards, the investment was yet another waste of taxpayers' funds. "Its economic return is so minimal despite millions of taxpayers' money was used to upgrade it. "Over K4 billion was consumed by roads and Pacific Game infrastructures at the expense of major highways in deterioration in the host provinces which contribute enomously to the National Budget. Sadly, they have not made anything in return to recoup the cost," a concerned Polye said. O'Neill justified that his government was spending money where there were many people, citing Port Moresby as being one. Polye, however, said it was not a sound economic decision by any government, labelling it as unequal distribution of wealth. "The Okuk and other major highways are in worse condition. They need maintenance. These highways serve companies which contribute to the national purse. "Let me assure our people that my criticisms are always healthy and genuine. They are not to score political points as claimed by PM. He must bow down in shame for mismanaging our economy," he said. His THE Party when in power, he said, will improve them to their glory days.